Obituary About a year before air taxi DayJet was scheduled to launch, Ed Iacobucci, who died last week, called me up to make sure I was thoroughly briefed on what he was doing and how it worked. We spent over an hour on the phone, no PowerPoints, no marketing pitch, just Ed explaining, making sure I got it. It’s not normal for CEOs to do this. Usually you need to hack your way through a thicket of marketing droids to get 10 minutes of their time - and then there’s at least one marketing droid sitting on your shoulder ready to swat you if you get too frisky. But that wasn’t the way Ed handled things, and I expect there were at least another six journalists who got the DayJet call, and had Ed patiently explaining a fascinating and revolutionary project. Like a lot of other Brit journalists, I got to know Ed when Citrix was starting its international rollout. 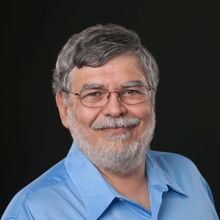 He’d already led the design team for OS/2 when IBM and Microsoft were co-developing it, at a time when Bill Gates was saying OS/2 was the future, and would supplant Windows (but he had his fingers crossed). At IBM's Boca Raton labs in the mid 1980s, Ed had become convinced that thin client network computing run from a PC server operating system could save businesses much time and expense. "Client-server computing" with a PC as a fat client was then all the rage, and "thin client" back then meant Unix - but he was unable to convince either IBM or Microsoft of his vision. Ed left IBM to start up Citrix in 1989 with a team of IBM engineers, just as the two companies’ differences were becoming painfully apparent. Citrix released 'MULTIUSER' - based on OS/2 and capable of running DOS, Windows 3.x and OS/2 apps - in 1991. It soon become evident that building for OS/2 was a non-starter, but Ed and the team made the switch to NT at what turned out to be the right time. When Citrix released a multiuser version of Windows NT in 1995 Microsoft finally sat up and noticed. The company had floated, entered the Fortune 500 and was growing rapidly. Citrix users, who were able to deploy the latest apps at a fraction of the cost, became its evangelists. Citrix had licensed the NT kernel and extended it, allowing modern NT applications to be deployed much more efficiently to any device running a Citrix WinFrame client - the computation was all performed at the server - such as a legacy 286 or 386 PC. By the mid-1990s, the bills from the client-server hype of the previous decade were just beginning to arrive. PC ROI became a hot topic, and rollouts of large enterprise software packages such as SAP were proving to be labour-intensive, multi-year projects. Citrix allowed the software to deployed once: at the server. Ed liked discussion, and although he was almost always the smartest guy in the room, he’d listen to what you had to say. He told me he liked talking to the Brits, because when he asked us what we thought we’d just tell him, whereas elsewhere in the world he felt people tended to tell him what they thought he wanted them to say. And I suppose hard-drinking hard-smoking Ed - as he was in the early days - also appreciated the Brits’ undoubted talents in these areas. Once Citrix was squarely on the map and coining it, you’d get the summons when Ed blew into town and you’d find him and wife Nancy as a double-act, holed up in a suite in some rock star hotel in St James’s, ready to talk into the small hours over dinner and wine. We were just starting up The Register around that time and Ed, who’d originally made the mistake of developing for OS/2 rather than Windows NT, and had had a hairy couple of years while he pivoted (as we didn’t say in those days), warned me that the most important thing you need to do with a startup is survive. A statement of the bleeding obvious, I suppose, but a lot of people tend not to focus on that bit until it’s too late - I know we nearly did. Ed was also the cause of the greatest stock tip I’m ever likely to make. Citrix could build its multiuser version of Windows NT because it had negotiated a source code licence with Microsoft. But when Windows NT 4 was under development, the Borg (as we did say in those days) decided it wasn’t going to license NT 4 source to Citrix. This was obviously a serious problem, even before you took into account Microsoft’s track record of trashing third-party products by building similar functionality into Windows. The DoJ trial hadn’t happened yet, nobody was stopping Microsoft throwing its weight around, and everybody could see the trail of tombstones that indicated Citrix’s likely fate. Microsoft wanted this market to itself, and announced it would extend the NT kernel to allow multiuser thin clients, without any Citrix software. The Citrix share price crashed. Nobody much thought Citrix had much of a chance of beating Microsoft off. Nobody much, but I did. I’d had briefings from Ed about Citrix’s IP portfolio, and I knew his pitch was that if Microsoft attempted to develop its own product without doing a deal with Citrix, it was going to get very messy indeed, and probably very expensive. So I wrote in these very pages that Ed Iacobucci was one of the few people on the planet who were capable of taking on Microsoft and coming out ahead, and urged you all to buy Citrix stock while it was cheap. * No need to thank me. Then followed three months of white knuckle negotiation which culminated with a joint-development agreement and Microsoft agreeing to bundle Citrix's WinFrame - effectively endorsing it. Ed went on to win Ernst & Young's entrepreneur of the year award for 1998. Although the Citrix chairman left the company in 2000, history vindicates his vision - and his negotiating skills. Citrix is a $3.5bn company today. Ed and Nancy told me later how it went down. They’d gone up to Redmond, and the two of them were on one side of the table, no back-up, facing a phalanx of Borg attorneys and bean-counters. I was sworn to secrecy because after these tense negotiations a deal was struck, and Citrix and Microsoft were pals again, but I guess I’m released now. They told me they got through by inventing nicknames for the members of the Microsoft negotiating team. I particularly remember they called one “The Duck” - I never asked why. Nicknames also figured in Ed’s explanation of DayJet, which was intended to be an on-demand airline, but where the heavy-lifting part was software. His idea was that he’d use small commuter planes providing on-demand flights between regional airports, and build a highly sophisticated software platform covering timings, load factors, seat prices and so on. He had one team of high-powered mathematicians known as the rocket scientists, and another group, the ant-farmers, building models of commuting behaviour within the US. Jon Udell, clearly another beneficiary on an Ed explain, wrote it up in some detail at the time. Ed had originally intended to have a big launch and/or serious party for DayJet (although by that time he’d stopped smoking on doctor’s orders), but that didn’t happen, and my recollection is that the service started out a little later than he’d planned. So money was probably tight by the time it kicked off in October 2007. DayJet cut its fleet the next May, although it expanded the number of destinations it served shortly afterwards. At the time Ed told AVweb that the company needed a $50m investment to triple its size and achieve critical mass, but he was flying into the financial crisis and that wasn’t to be. DayJet suspended operations in September, just a couple of days before Lehman Brothers went under, and although Ed tried to raise money to revive it later that year, he was unsuccessful. Subsequently he founded Virtualworks, which aims to tackle data sprawl, and where he served as chairman until his death. * Unfortunately I’m not able to prove this readily, short of getting tech to rummage through the really, really old Reg stories from the content engine before the content engine before the current content engine. But I’m sure there’s a couple of you knocking back pina coladas in some tropical paradise who’ll back me up. Friends and colleagues have put up a tribute site, Remembering Ed.